There’s always plenty to do in your business, and your work is never done. It’s easy to slip into a pattern of being busy, without feeling you’ve actually accomplished something. 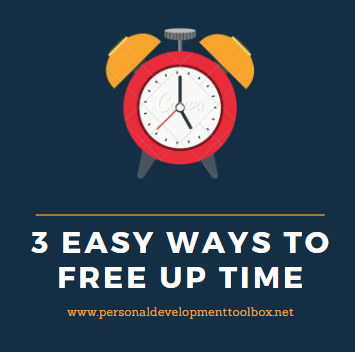 How do you stay on top of things that need to be done, and still have enough time to relax? How do you get more done without working harder or stressing out? And how can you make sure that you FEEL like you’ve done enough and made progress? How do you want to spend your time? What’s most important to you? And are these the things you actually spend most of your time on? Write down everything you do from getting up to going to sleep for a week. This will give you some interesting insights. I bet you can find (and eliminate) some time wasters too when you do this exercise. That will free up some (or a lot) of time every week. Close your eyes. Imagine it’s later this evening, and you’re about to go to sleep. You’re smiling and feel great as you look back on your day. You feel good about yourself, this day, and what you’ve accomplished. What actions did you take to make you feel like this? What made you feel good? How did you spend your time throughout the day? Open your eyes and take a couple of deep breaths. Write down 1 to 5 actions you will take today – the actions that will make you feel as good about your day as you just imagined. Start with the action you most resist taking. Once that’s out of the way, the rest of your work will be so much easier. Take 5 or 10 minutes each morning to do this exercise. The results will amaze you! Having a template for how you spend your time each week gives you a lot more freedom & focus. This schedule can be as detailed as you like. Just create something that works for YOU. For example: do all your admin stuff each Friday morning. Write newsletters or blogs each Thursday morning. You can use this schedule every week, so you can stop thinking about what you have to do (and when you will do it) all the time. I really love working with my weekly schedule. It gives me more focus, I get more done, and it gives me peace of mind. Do you already have a template like this? If not, take some time to create your own personal schedule. It really works! Your schedule is a TOOL to help you. Change it whenever your situation or your wants and needs change. And make sure YOU stay in charge of your life and how you spend your time. Don’t let your schedule, to-do-lists, or other people’s agendas and expectations determine that for you.